Kolors, We Are First And Most Advanced Hair Transplantation Clinic Using The Direct Follicular Transfer (DFT) Technique For Surgical Hair Transplantation. Instant Hair Restoration with Hair Transplantation! Hair loss is a common problem in both men and women. In certain cases, hair treatments are effective with early detection while some may be severe. Based on the hairline from front to backwards among males, with patterned hair loss from stage 3 and above and for females stage 2 or 3 and above, Hair Transplantation is the most suited treatment. Hair transplantation is a surgical process that removes the hair follicles from one part of the body, called the 'donor site', to a bald or balding part of the body known as the 'recipient site'. This is primarily used to treat male pattern baldness and women with female pattern hair loss. Kolors has the most trusted Hair transplantation experts, and one can be assured, they are in safest hands. 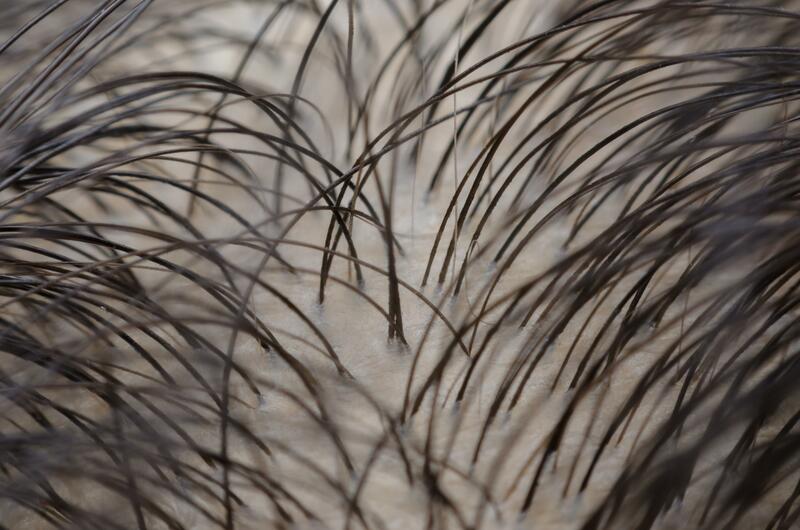 Hair Follicles are harvested from donor dominance using the Titanium coated punch of 0.9 mm diameter which yields very minimal scar. Hair Follicles are implanted by using the CHOI IMPLANTERS with titanium coating thus results minimal follicle injury and less bleeding. In this process the individual follicles are extracted and inserted to the recipient location. This heals quickly. This procedure allows patients to have a greater number of hair follicles transplanted into their scalp in a single session. Immediate surgical recovery patients are able to resume their physical activity the next day with minimal instructions. The technology used at Kolors, caters to various hair problems with the best results. Dedicated & well-experienced team of Hair Transplantation experts. Utmost care taken under hygienic conditions. The best natural hair feel. Preoperative diagnostic evaluation and consultation. - The most recently developed hair surgery or procedure that does not involve any incisions, sutures.It improves greatly the total amount of grafts harvested in a single session. Its the least invasive procedure compared to the FUT method.The results are faster and better outcomes. 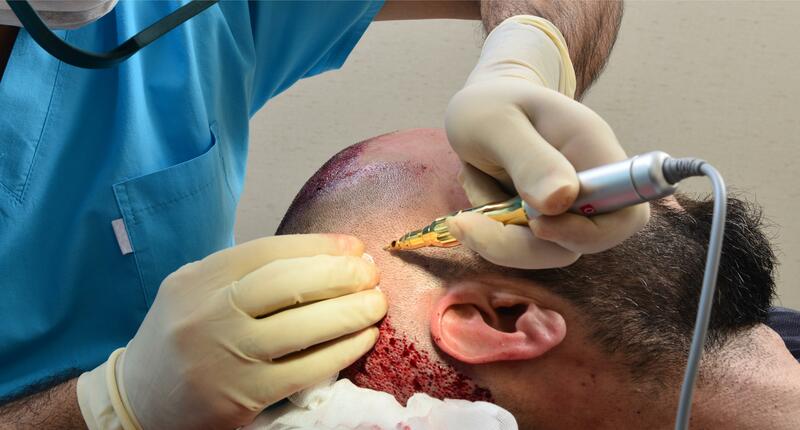 Is PRP and Hair Transplantation different? - PRP is advisable in the early stages of patterned hair loss whereas Hair Transplantation is advisable for extreme stage of baldness. Can lost hair be restored with Hair Transplantation? - Yes, Hair Transplantation helps restore the hairline and the hair lost. -	Itching, pain, numbness, swelling and so on may be observed, however their effect is temporary. -	The charge is as per the number of grafts and kolors is pleased to offer flexible discounts with monthly EMIS. How quick are the results seen with DFT? -	It takes about 3-6 months for the results post the surgery. -	Hair Restoration is safe when it is done using local anesthesia. The risk is minimal. 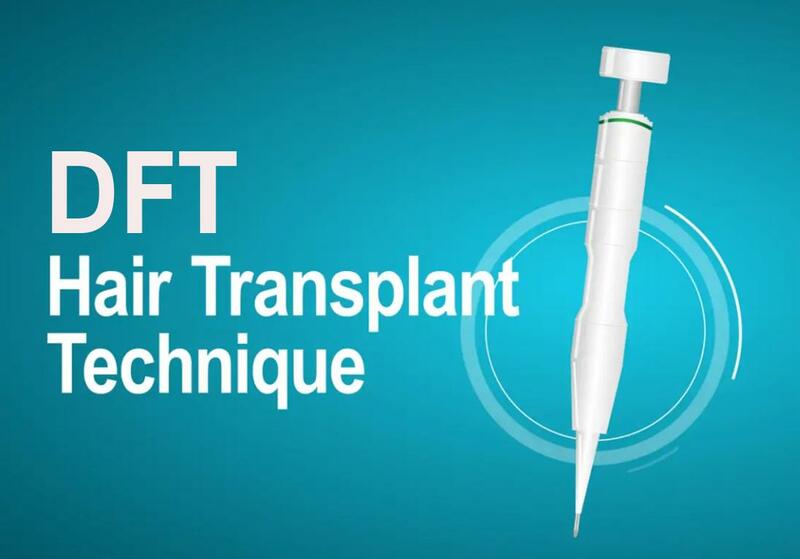 Is DFT Hair Transplantation Painful? 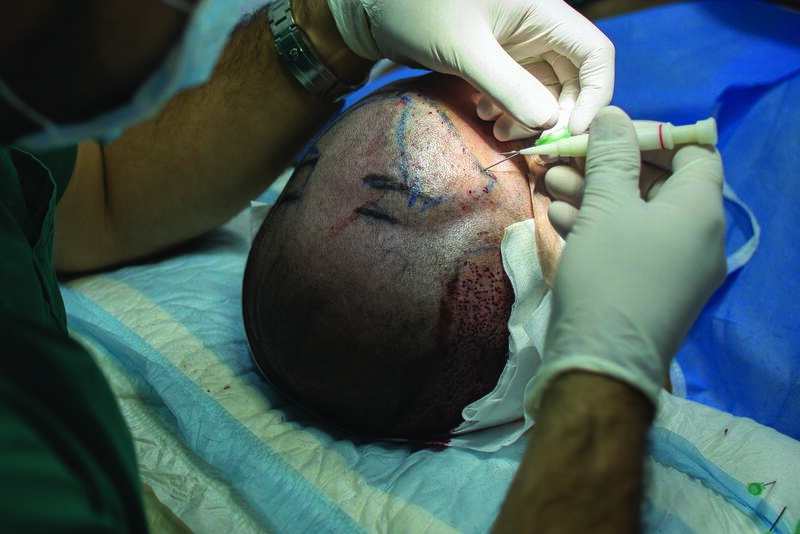 -	There is no pain involved in DFT Hair Transplantation using local anesthesia. Once the skin is anesthetized, there is no pain. Once the DFT procedure is completed, patients may feel slight discomfort which is very minimal. - DFT is a less invasive small procedure. The complications are rare and the Doctor can treat them easily. When can one get back to work? -	Most often, it is possible that one can get back to work the next day after the DFT transplantation. When can I see my transplanted Hair grow? -	It takes about 3-12 months for Hair to grow. The results again vary from one to another. -	The extent of the bald area on the scalp determines the number of sessions you require. How many grafts do I require? -	The number of grafts depends upon the extent of hair loss and desired hair density. -	Kolors has the artistry and is keen in providing you the best and natural look. What is Shock loss post Hair Transplant Surgery? -	Shock loss is the Hair loss of the existing or the transplanted Hair after the Hair transplantation procedure. The hair may be lost from either transplanted or the Donor areas. This can just be a natural and common response after hair transplantation. When the procedure is done by an experienced surgeon, the shock loss may be lesser. Otherwise the transplanted grafts are healthy, and will quickly grow.